Over the years, five City College football players have gone on to play in the National Football League: Bob Baldwin, class of 1962 (Baltimore Colts) Ara Person, class of 1966 (St. Louis Cardinals), John Sykes, class of 1967 (San Diego Chargers), Tom Gatewood, class of 1968 (New York Giants), Bryant Johnson, class of 1999 (Arizona Cardinals, San Francisco 49ers, Detroit Lions). 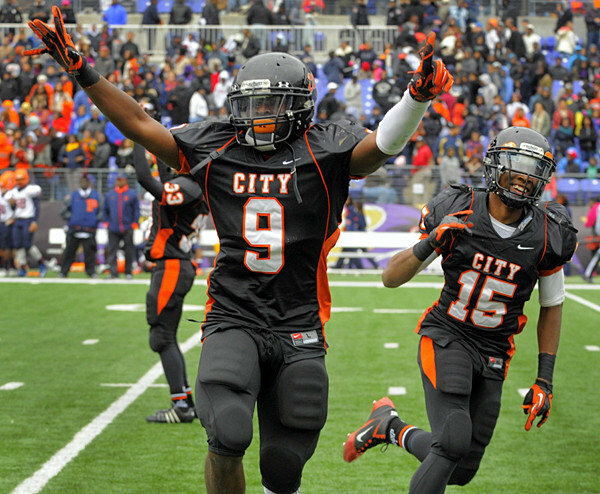 The City–Poly football rivalry is the oldest American football rivalry in Maryland and one of the oldest public school rivalries in the U.S.—predated by the rivalry between the Boston Latin School and the English High School of Boston. 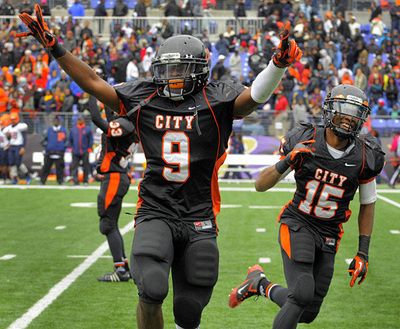 The rivalry began in 1889, when a dominant team from Baltimore City College (City) met a team from the Baltimore Polytechnic Institute (Poly), and has continued annually. 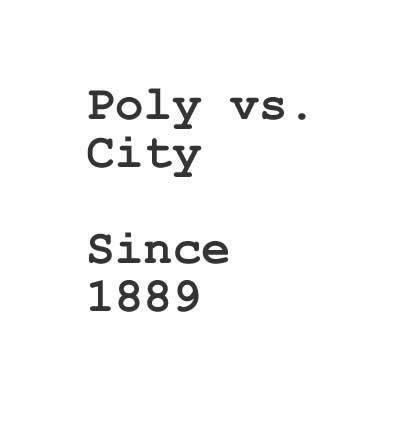 Despite City's initial dominance in the series, Poly leads in overall wins with the record standing at 61–54–6. 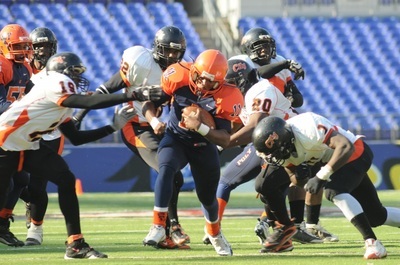 Little is known of the first American football game between Baltimore Polytechnic Institute (Poly) and Baltimore City College (City) in 1889, except that a JV team from Poly met City, in Clifton Park and City emerged the victor. 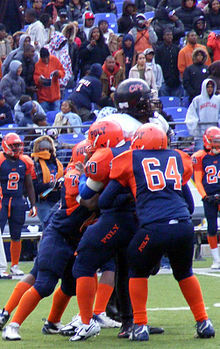 City continued to win against Poly through 1901, however in 1902, for the only time in history of the series no game was played; though, in 1931, an extra game was played to compensate. Between 1903 and 1906, City won the series, but the tide turned in 1907, when the first tie in the series occurred. The next year Poly scored its first victory in the rivalry. In 1926, one of the most famous City-Poly games was played. Prior to the game, the eligibility of City's halfback, Mickey Noonen, was challenged. A committee was formed to investigate Noonen's eligibility, but Noonen's father—frustrated with the investigation—struck one of the members of the committee. The result was that Noonen was not only barred from the team, but also expelled from the Baltimore City school system. In spite of Noonen's removal, the two teams met at the Baltimore Stadium with 20,000 fans in attendance. The game remained scoreless well into the fourth quarter. Finally, Poly's Harry Lawerence—who later became a coach at City—kicked a successful field goal from the 30 yard leading to a 3–0 victory over City. 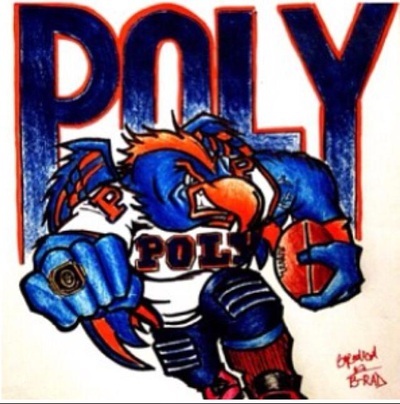 In the 1950s, Poly under its legendary coach, Bob Lumsden for whom Poly's football stadium is named, won five straight games against City and won 9 out of the 10 games of the decade. 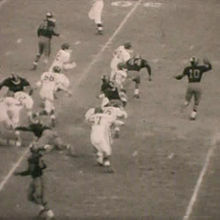 Lumsden finished with 11–7 record against City, when he retired as head coach at Poly in 1966. In 1962, Lumsden coached 9-0 Poly to the unofficial National High School Championship Game at the Orange Bowl in Miami against the Miami High Stingarees. 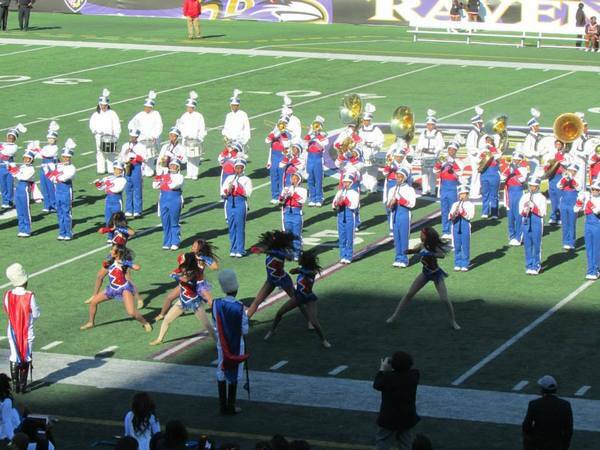 Poly lost 14-6. However, Poly's fortunes changed in the 1960s, while City was coached by George Young. 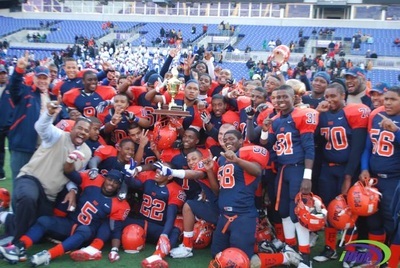 Young coached his teams to six wins over Poly and as many state championships. One of Young's most memorable victories occurred on Thanksgiving Day 1965 at Memorial Stadium, when undefeated City beat undefeated Poly 52–6, which is the largest margin of victory in the series.